NOTE: This content is old - Published: Tuesday, Oct 24th, 2017. 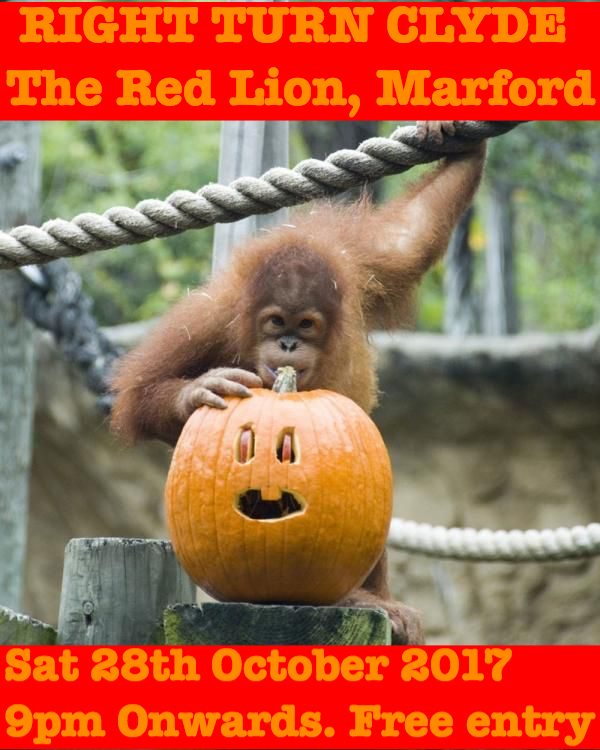 Right Turn Clyde are playing The Red Lion, Marford Halloween Party. Get your freak on and come on down for some Rockin’ Halloween fun with live music. Hits from the 60’s to the present day. Starts at 9pm onwards. Free entry.